The very low participation of women in the labour force and in entrepreneurial activity. While women face higher unemployment rates than men globally, the women unemployment rate in the Middle East and North Africa (MENA) region exceeds that of any other region in the world. 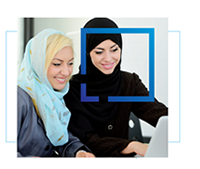 According to the World Bank Enterprise Surveys, the MENA region has the lowest representation of women-owned formal SMEs, 12-15 percent, compared to 31-38 percent of women-owned formal SMEs in emerging markets. Women’s entrepreneurship in the MENA region represents an untapped potential of growth, prosperity and poverty reduction, thus by creating more and better jobs, it would contribute to diversify economies with new ideas, technologies, and production methods. This is why it is central to inclusive and sustainable industrial development is the urgent need to untap the economic potential of women. It is becoming increasingly clear that women are, and will continue to be, powerful drivers of development and economic growth. Studies have reported that raising female employment to male levels can have a direct impact on GDP growth rates, increasing it by as much as 34% in some countries and that countries’ productivity can increase by as much as 25% if discriminatory barriers against women are removed. At the same time, women tend to have a smaller ecological footprint than men. Their production and consumption patterns are often more resource-efficient, they are more likely to recycle and they make more sustainable decisions for their households and businesses. There is then increasing recognition of the role that women entrepreneurs can play as engines for inclusive and sustainable industrial growth. Women are in fact seen as the “rising stars” of economies in developing countries and it is key to develop their potentials looking also at specific sectors. Sectors with a high potential for wealth creation, food security and green businesses can offer particular opportunities for generating or expanding entrepreneurial and employment opportunities for women. In order to support women entrepreneurship development in the MENA region and in response to the request of 7 MENA women business associations (Association for Women’s Total Advancement and Development-AWTAD for Egypt, Business & Professional Women Amman – BPW‐A for Jordan, Al Majmoua - The Lebanese Association for Development, Association des Femmes Chefs d'Entreprises du Maroc – AFEM for Morocco, Business Women Forum- BWF for Palestine and Femmes et Leadership for Tunisia, and a consortium of Algerian Women Business Associations), UNIDO has formulated a project proposal: “Women economic empowerment in the MENA Region through Enterprise Creation and Growth and Investment Promotion” which has been approved and funded by the Italian multilateral cooperation. The project was labelled by the Union for the Mediterranean on November 2015. Facilitating the creation/development of selected women-led businesses in the MENA region and promote international business partnerships. For further information, please Download the Project Brief.